First, I would like to recognize that the blog has gotten a bit out of date. As of writing this, we are actually in Texas. 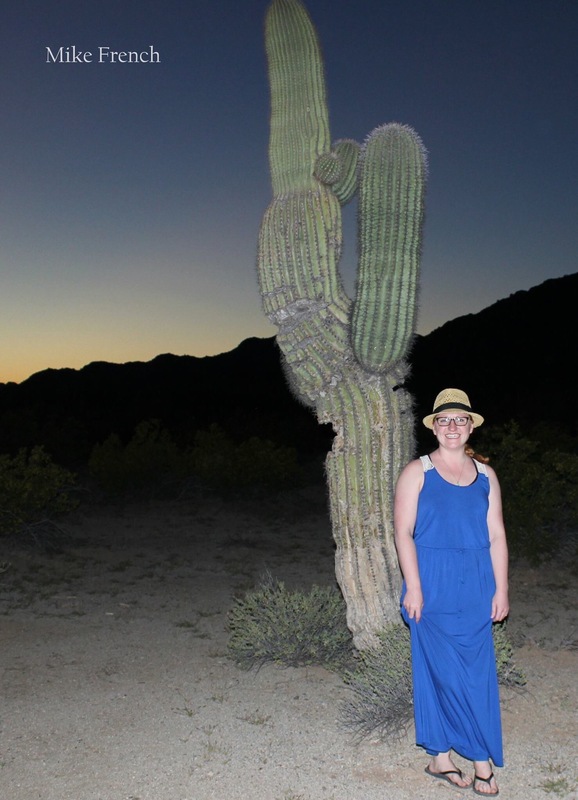 We had a few internet issues along the way (and a whole lot of catching up to do once we got to Texas) that kept me from updating the blog as frequently as I would have liked. But no worries, I will have the back-log of posts up in no time. As much as we loved Pirates Cove, it was time to hit the road again. 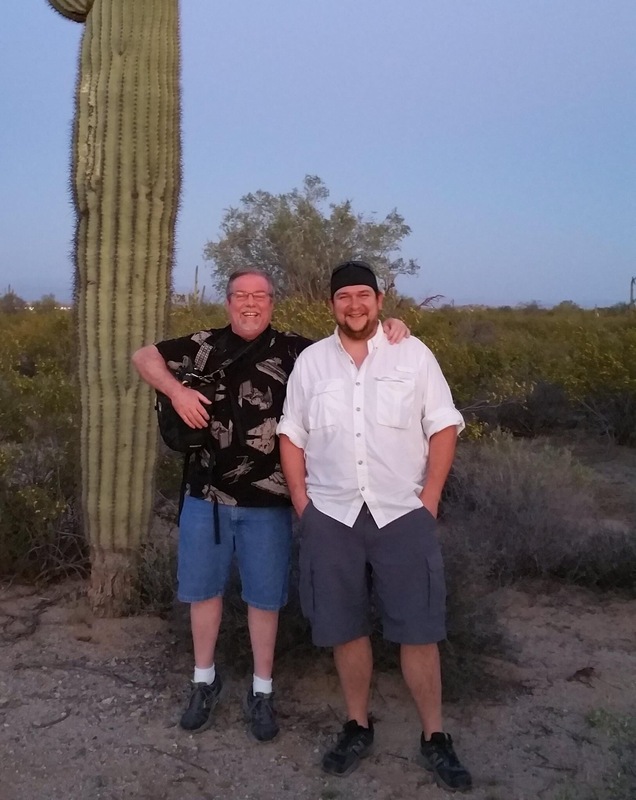 This time we were bound for Florence, Arizona to visit Brandon’s dad. 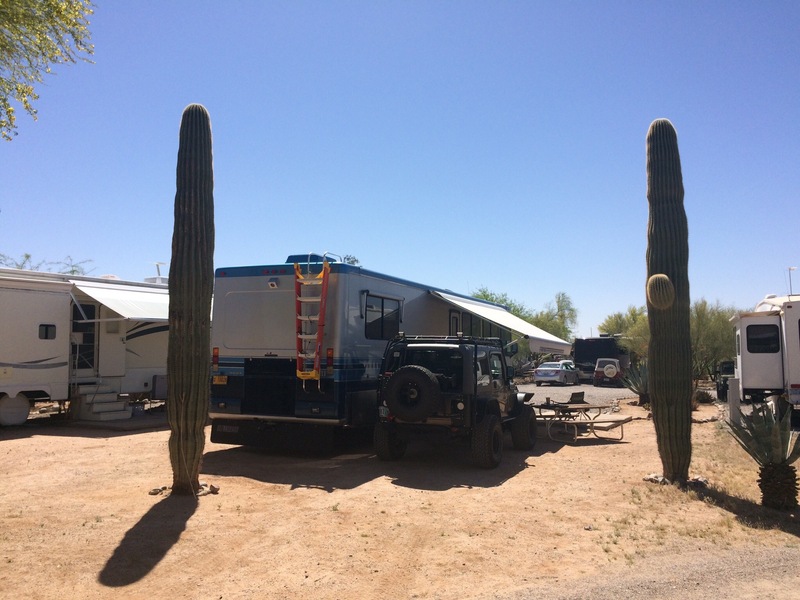 I booked us a spot at the Rancho Sonora Inn & RV Park, one few RV parks I found in the area that was not described as a 55+ community. 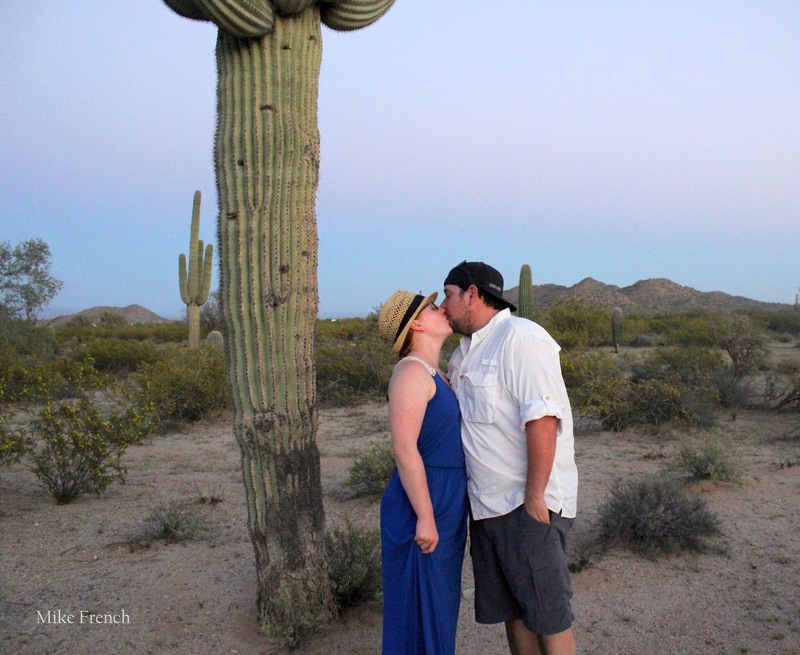 We knew Arizona to be a snowbird’s paradise and that was certaintly true. 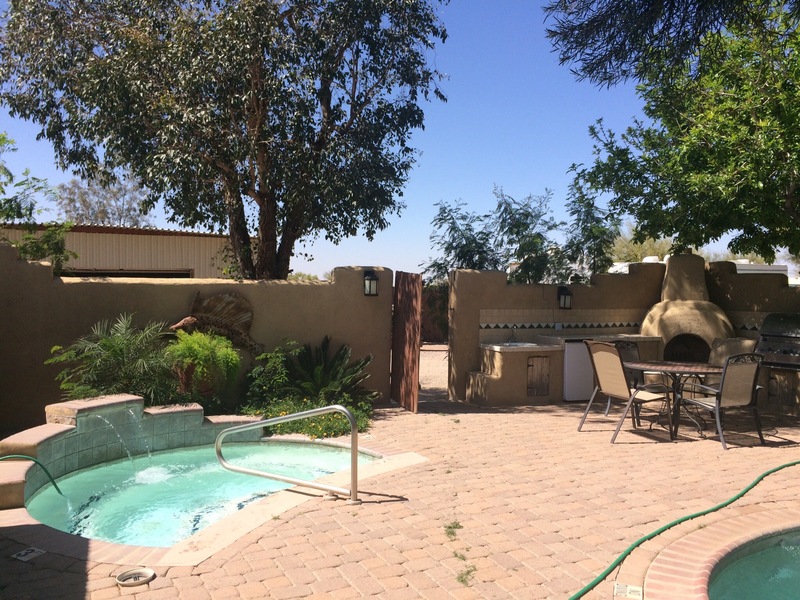 Even Rancho Sonora was almost exclusivly inhabited by retirees. Despite being dramatically younger than every other person in the park, our stay was perfectly lovely. 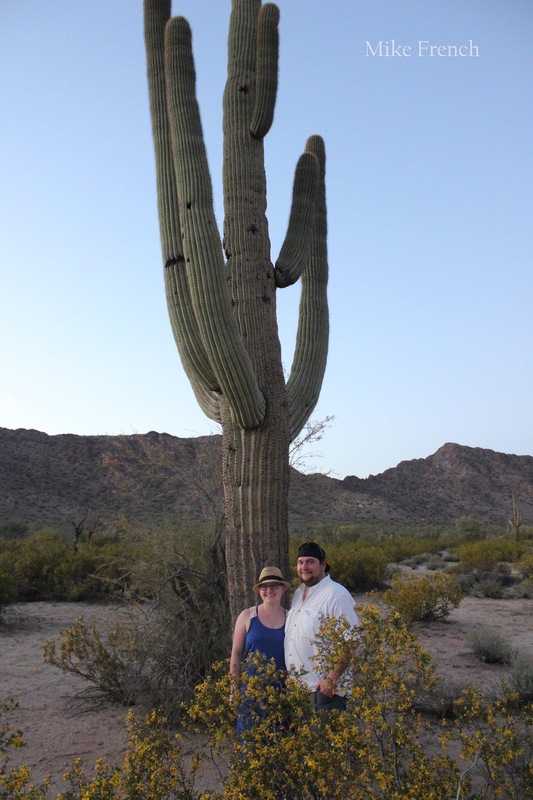 Each spot was beautifully manicured with desert plants and the giant saguaro cacti could be seen all around. We had two right behind our camp! 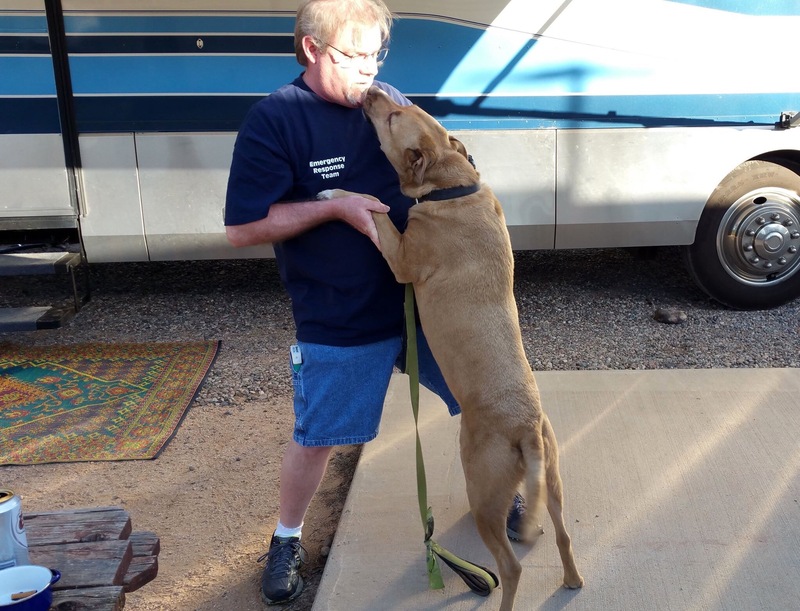 We also had a nice welcome from the other RVers in the community. A number of people stopped by our spot to say hi. 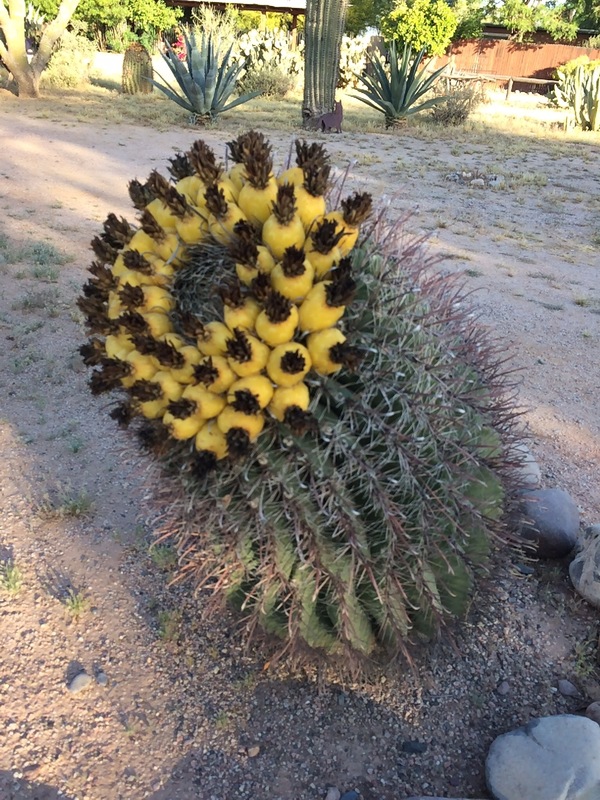 We learned that although it wasn’t labled as a 55+ community, the Rancho Sonora at this time of year was mostly a retirement community of snowbirds and that they would all be heading back north before the first of April. I’m sure some stopped by because they were curious about our story given that we were so much younger than everyone else, but a number were also from the pacific northwest and had noticed our Oregon license plates. A few also came by to ask about the Jeep. Our next door neighboor told us that they fequently organized off-road desert rides with other Jeepers in the community. We wouldn’t be able to join them while we were there but it sounded like fun! 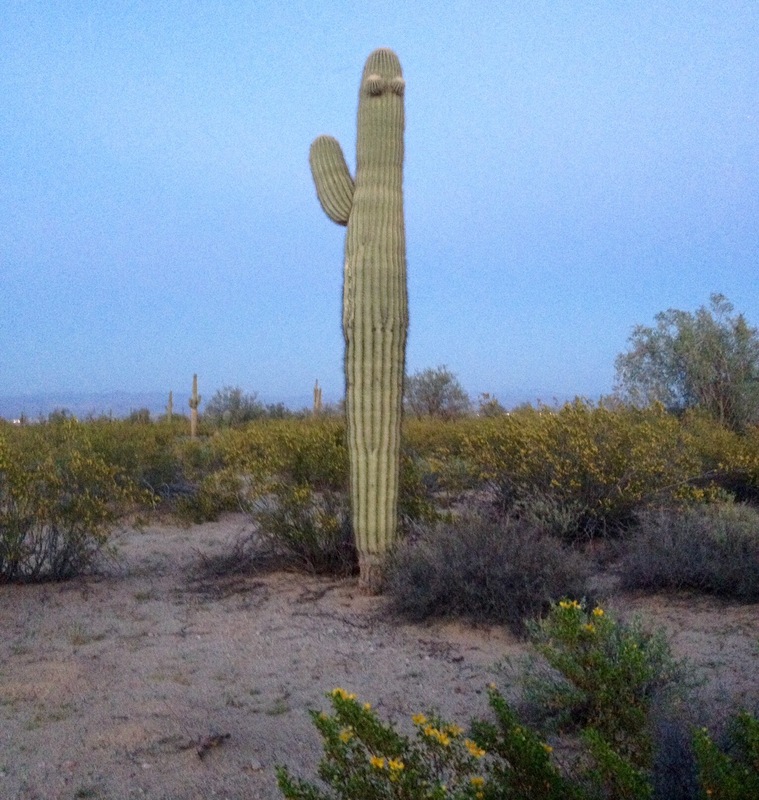 A baby saguaro cactus, possibly about to bloom? We spent a couple of hours catching up at the RV before we all got hungry and decided to head out for dinner. We found a mexican place just a few minutes from camp. You can’t tell in this picture but there was actually a raucous Saint Patrick’s Day party going on the back patio. 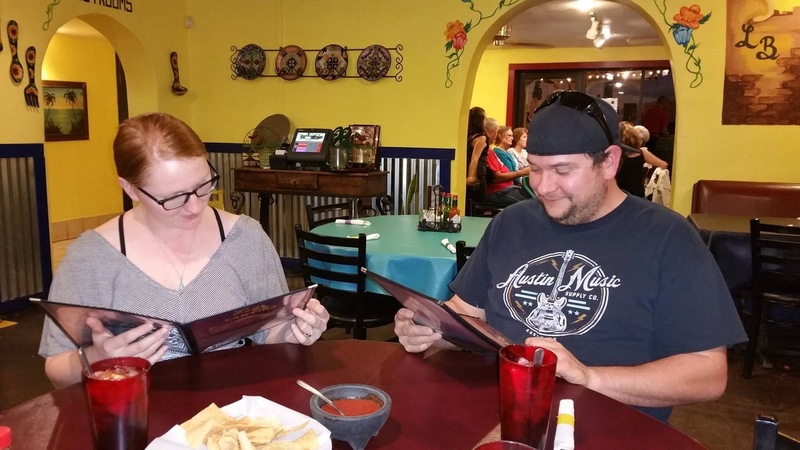 The Mexican food was pretty good, but we are still anxious for tacos in Texas. The next day Brandon and I were excited to take advantage of the resort’s pool. Living in the Pacific Northwest neither of us had been in a swimmng pool in quite some time. The pool was connected to the Inn portion of the resort. It was heated to a lovely 75 degrees. The outdoor tempurature in the desert this time of year was about 85 degrees in the afternoon so the pool was perfect. Growing up, my family went to the lake frequently. While in college, my friends and I frequently spent our weekends tubing the river. Now that my parents have retired, they spend their free time sailing. Needless to say, I missed the water while living so far north. Even though the Pacific Northwest is full of water, it is generally cold and the swimming season is very short. This brief respite was nice but I look forward to parking the RV somewhere I can spend all day in the water. After our swim we drove over to Brandon’s dad’s house to hang out and catch up. It’s been a while since we’ve been able to visit in person. Over the past few years Mike has gotten really into photography. 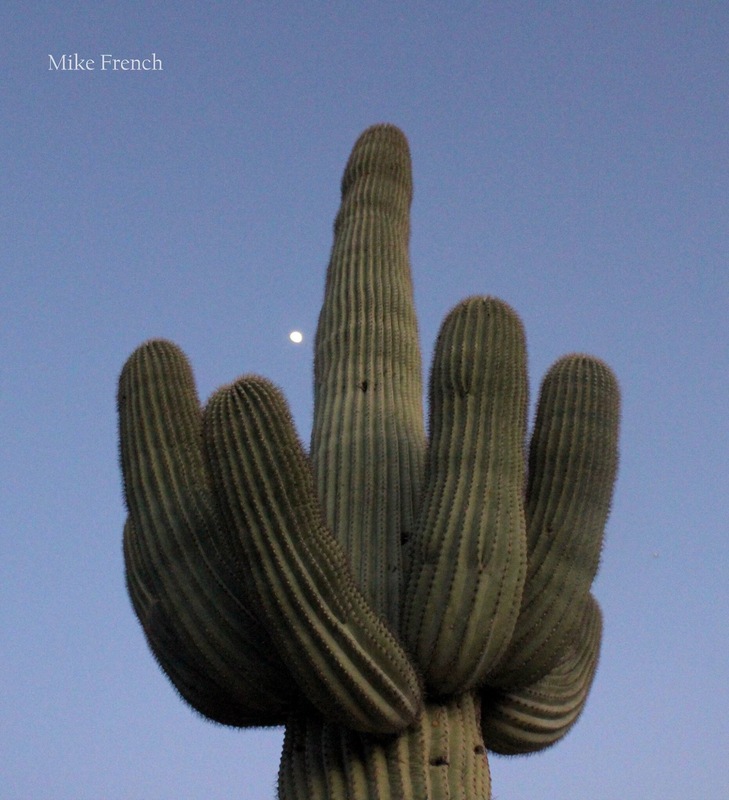 He takes lovely photos of the desert landscape and local wildlife. 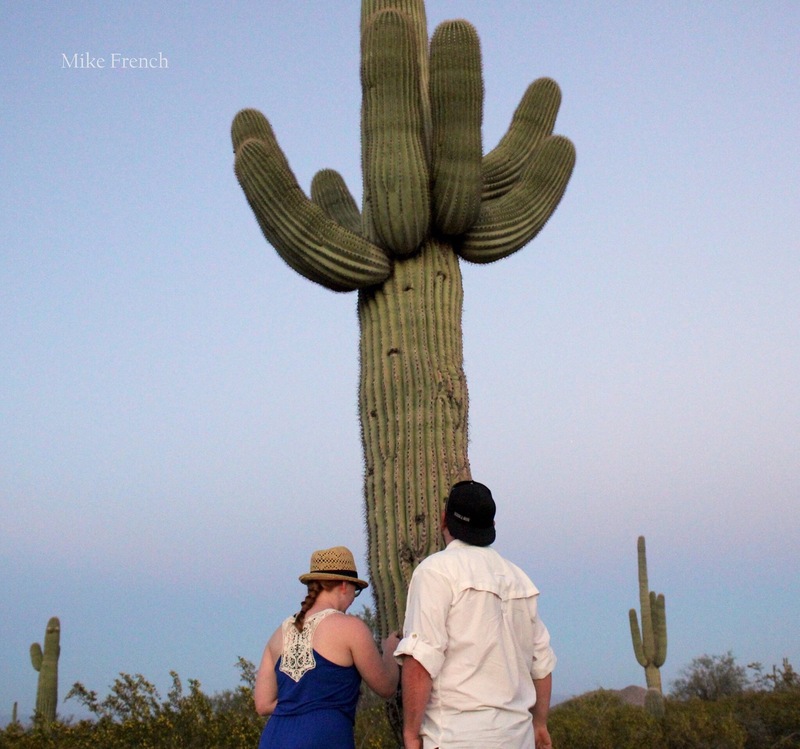 Right before sunset he drove us out to one of his favorite spots to take a few photos of us. I think they turned out really well. Thanks, Mike! 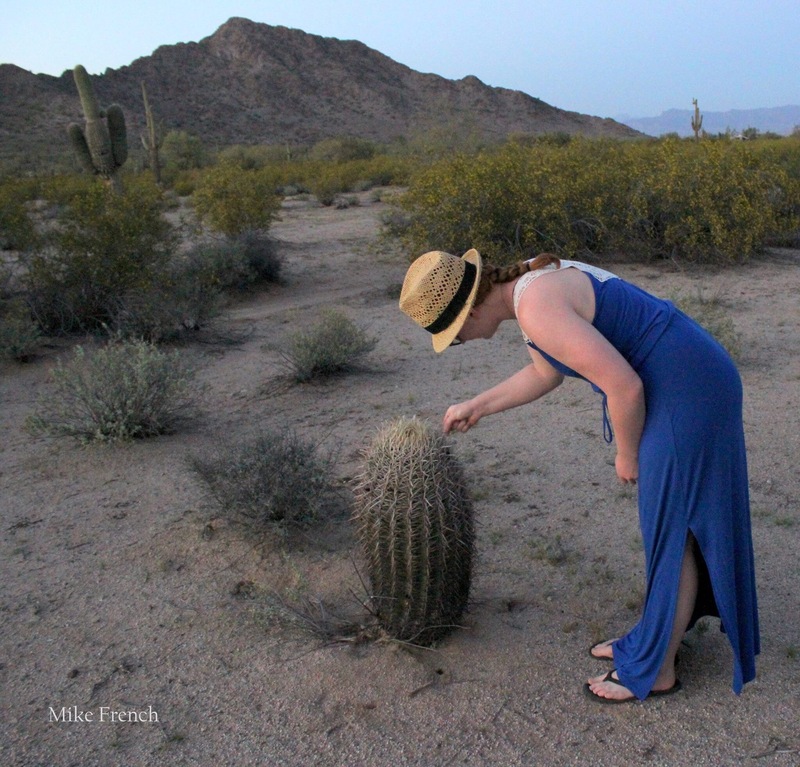 I just had to know how sharp those little spines really are . . .
For our next stop we are headed to Columbus, New Mexico, just a few miles north of the Mexican border. 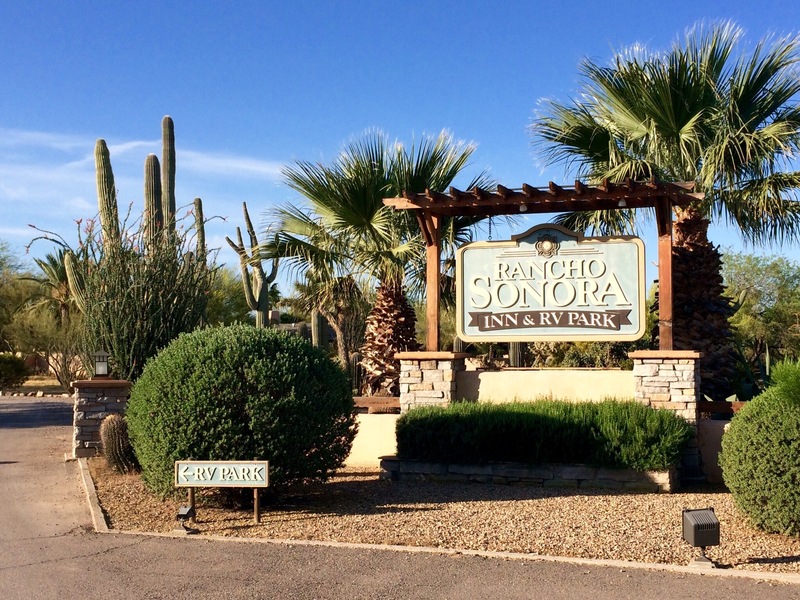 We’ll be staying overnight at the Pancho Villa State Park, which is a steal at just $14 a night. Our next few stops will be short overnighters, as we are itching to get to Texas and settle in somewhere for longer than a day or two. Next Next post: So …. We Got Married! 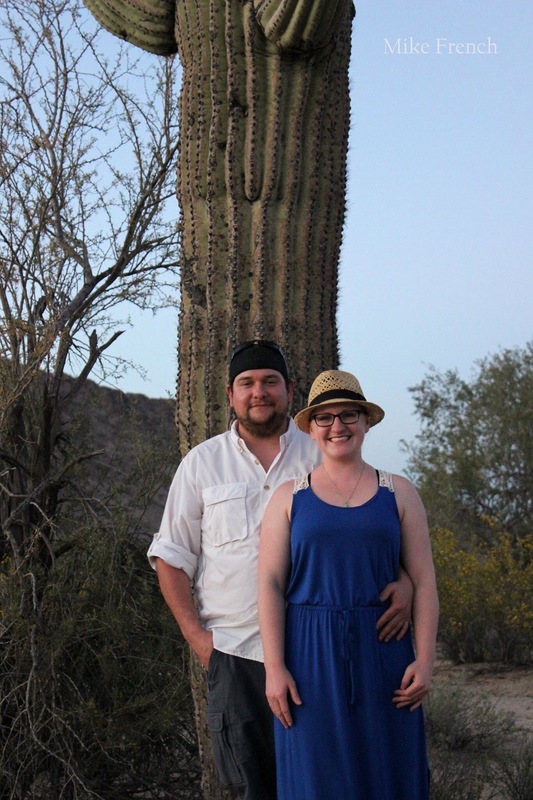 Florence Arizona is a great winter getaway.